We're taking over the cosy New Inn Harborne for a night of traditional Scottish food and a tasting of four fantastic drams from The Balvenie. We'll be enjoying a matched dram with each of your delicious three courses and sampling our way through The Balvenie Doublewood, Caribbean Cask, 17 year old Doublewood and the 21 year old Portwood. After dinner, join us in the bar to enjoy some specially themed drinks, offers and maybe even some spoken word. Ticket price includes 4 ‘drams’ and a three course Scottish meal. Please inform us should you have any dietary requirements when booking. 4:30pm - Doors open. You are welcome to grab a drink in the bar whilst you await your table. 5:00pm - 7:30pm - Three courses are served with accompanying whiskies. Amy Seton (The Whisky Miss and co-founder of The Birmingham Whisky Club) will be on hand to guide you through the nose and key tasting notes of each matched dram. 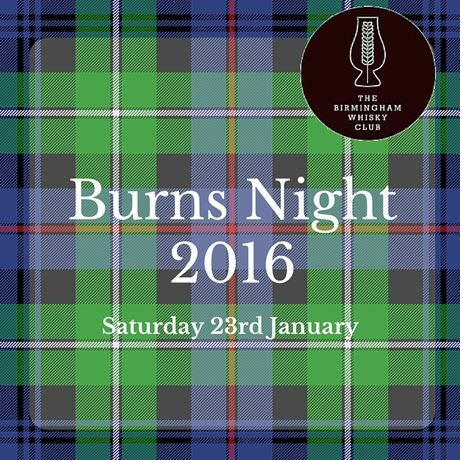 7:30pm - Late - Although the meal is over, the New Inn will be keeping the Scottish theme throughout the evening. Enjoy seasonal drinks offers and maybe a little spoken word too!